Our July 2011 article, Investment Standards for Not-for-Profit Corporations Under NYPMIFA, analyzed the standards governing the investment of a not-for-profit corporation’s institutional funds under New York’s version of the Uniform Prudent Management of Institutional Funds Act, known as “NYPMIFA.” This companion article explains the other two major aspects of NYPMIFA: its standards for the appropriation of “endowment funds” and the modification of donor-imposed restrictions on the use, investment, or management of institutional funds. In the July article, we posited that the fundamental aspects of prior law in the investment arena were unchanged by NYPMIFA. But by requiring that New York not-for-profit corporations have an investment policy and by providing greater detail on the considerations that a board (or committee) needs to consider when managing and investing institutional funds, the new law may contribute to regularizing and professionalizing investment decisions. We also described how the law creates symmetry between the standards applicable to investment decisions and those applicable to endowment spending decisions, clearly contemplating an integrated system for both functions. This article discusses the mirror image of investment decisions—endowment spending decisions. In this area, too, the cornerstone of prior law remains in place, namely, the presence of a prudence standard that must be followed when appropriating from endowment funds. NYPMIFA does, however, flesh out the prudence standard and add new layers to it, which have very real consequences in terms of the procedures organizations must now have in place. In particular, the new rules will affect the way that many organizations establish their annual endowment draw and allocate that draw among their endowment funds. With respect to the release of donor-imposed restrictions, NYPMIFA integrates the legal avenues available under prior law under the doctrines of cy pres and “equitable deviation” and adds a new avenue for the release of donor-imposed restrictions on “small, old” funds. As we discussed in our July 2011 article, NYPMIFA is applicable to “institutions,” a term that is defined to include New York not-for-profit, educational, and religious corporations as well as certain wholly charitable trusts. Most wholly charitable trusts, however, fall outside of NYPMIFA due to the definition of “institutional fund,” below. Notably, the definition of “institution” is not limited to charities. Therefore, nonprofit social clubs, trade associations, and social welfare organizations formed under the New York Not-for-Profit Corporation Law (NPCL) are generally subject to NYPMIFA. An “endowment fund,” by contrast, is defined as “an institutional fund or part thereof that, under the terms of a gift instrument, is not wholly expendable by the institution on a current basis.” It does not include board-designated funds, often referred to as “quasi-endowment.” It also excludes donor-restricted funds that do not have a temporal restriction, though they may have a purpose restriction—for instance, a scholarship fund that could be fully spent at any time to fund the designated scholarships. An endowment fund is, in other words, a subset of institutional funds, and the spending rules discussed below apply only to this particular category of fund. Under the law in effect in New York from 1978 until September 17, 2010, when NYPMIFA was enacted, an organization could appropriate and spend a prudent portion of the income and appreciation of its endowment funds. If a fund had fallen below its original value—known as its “historic dollar value”—the organization could not appropriate from the fund except to the extent of traditional forms of “income”—interest, dividends, rents, royalties, and the like. This meant that when the governing board approved the organization’s annual endowment draw (that is, the amount yielded by multiplying the annual spending rate by the market value of the organization’s funds), it could not apply the annual draw to funds that were “underwater” except to the extent of income produced by those funds. That prior law, known as the “Uniform Management of Institutional Funds Act” or “UMIFA,” itself represented an evolution in the law, which had been based on earlier trust law principles permitting only income of an endowment fund to be spent. When the market experienced downturns in the early 2000s and again during the market crisis of 2008, UMIFA’s prohibition on spending a fund’s historic dollar value (except to the extent of income) was similarly recognized as outdated because organizations could not draw from “underwater” endowment funds unless they had invested those funds in a manner calculated to generate income. Such a rule amounted to rewarding organizations whose investment programs were expected to work to the detriment of long-term growth and punishing organizations that were prudently investing their funds according to the modern convention of total return investing. where appropriate and circumstances would otherwise warrant, alternatives to expenditure of the endowment fund, giving due consideration to the effect that such alternatives may have on the organization. What this change in the law means is that, absent restrictions specified in a gift instrument or in the donor notice described below, an organization may now appropriate from its endowment funds regardless of whether a particular endowment fund has depreciated below its historic dollar value—to the extent doing so would be prudent under the standard and factors listed above. NYPMIFA requires that organizations document their consideration of these factors, so it will not be possible to avoid the fundamental question of what it really means to consider the factors. In particular, the eighth factor, which is unique to New York, appears designed to inspire organizational soul-searching, as it asks organizations to consider alternatives to endowment spending, such as cutting costs. Even though some organizations may treat consideration of the factors and the allocation of their annual endowment draw as a pro forma exercise, the rules are designed to cause organizations to think more deeply about what they are spending from each endowment fund and why that particular amount is right for that fund. Although NYPMIFA contemplates a robust and thoughtful process regarding endowment fund appropriations, it leaves great uncertainty about how an organization is supposed to know how much is prudent to spend. Eliminating the historic dollar value rule, of course, enables an organization to appropriate and spend an endowment fund below a level that previously constrained the organization. But because the historic dollar value threshold functioned as something of a floor above which an organization’s spending decisions were relatively safe, the new rules also take away the comfort of that floor. In formal guidance published by the New York Attorney General in March 2011 (the AG Guidance), the Attorney General cited with approval comments of the drafters of the uniform version of the new law, which mentioned the continued importance of preserving the inflation-adjusted historic dollar value of endowments. An organization could quite sensibly use inflation-adjusted historic dollar value as a floor, but doing so would create a higher threshold than was present under prior law. On the other hand, an organization could take the view that, generally, it will not dip below that threshold, but that it may do so occasionally if special circumstances warrant greater incursions into particular endowment funds. Of course, numbers are everything, and bad economic times tend to cause endowment funds to wither, even as economic downturns also put a strain on other organizational resources. It may be easier to preach prudence than live under it, but one thing is sure: an organization must evaluate circumstances as they arise, taking a long-term disciplined approach and at the same time re-evaluating this approach as circumstances warrant. There is something of a disconnect between the way many organizations conceive of their annual endowment draw and the way NYPMIFA conceives of endowment fund appropriations. Organizations typically calculate the amount of their annual draw based on the needs of the organization as a whole and then allocate to each endowment fund its pro rata share of that draw. NYPMIFA, on the other hand, requires a fund-by-fund approach to appropriations, in which the requisite prudence analysis must be made with respect to each individual endowment fund. It is worth noting that prior law also conceived of appropriations in terms of each endowment fund, but the presence of eight statutory factors whose consideration must now be documented has brought into focus what a fund-by-fund analysis means in practice. For organizations with hundreds or even thousands of endowment funds, the law presents a daunting burden. No doubt recognizing the onerousness of this burden, the AG Guidance indicated that an organization may group similarly situated endowment funds and then analyze the prudence factors with respect to each group, documenting the basis for the grouping method chosen. Organizations with many endowment funds are likely to create broad categories, although they might still choose to apply their annual endowment draw in the same manner to all categories. Even so, the new law may also provide organizations with a rationale for making a disproportionate allocation of their annual draw where circumstances warrant. Many organizations will no doubt decide that a uniform allocation of the annual draw (subject to donor restrictions) is still prudent. On the other hand, an organization may determine that different treatment is warranted for a particular group or groups of endowment funds. For example, if an organization were to group a number of general-purpose endowment funds whose value had significantly depreciated, the organization might conclude that it is prudent not to apply its annual draw on a fully proportionate basis to the depreciated funds but instead to reduce the annual draw altogether or to allocate a disproportionately large share of it to other institutional funds. Such disproportionate allocation could be either to general-purpose endowment funds that are “above water” or to funds that are unrestricted altogether. This example illustrates how the grouping of endowment funds will be a matter of some importance as organizations seek to bring themselves in line with NYPMIFA’s requirements concerning fund-by-fund endowment appropriations. While this change does not affect the legal character of those funds, it has shone a light on the misperception common among nonprofit boards that “unrestricted” funds were there for the taking. In fact, endowment appreciation previously classified as “unrestricted” was subject to a prudent appropriation standard even under prior law. But because historic dollar value functioned as something of a de facto prudence floor, it appears to have been widely believed that all unrestricted funds were simply available for expenditure without further analysis. Now that organizations are confronting this change, some are considering whether to attempt to “free up” unrestricted funds, be it to support the requirements of their bond covenants or to accomplish other organizational objectives. Some are considering adopting a higher spending rate across all endowment funds in order to generate unrestricted funds for later use, and some are considering making selective appropriations from endowment funds dedicated to particular purposes, such as scholarship endowment funds. What makes a strategy of freeing up unrestricted funds possible is that the law does not require an appropriation to be followed immediately by expenditure. It is important to emphasize, however, that the prudence standard attaches to the decision to appropriate. An organization will need to show how it came to the decision to appropriate a particular amount, even if it decides to save some of that appropriation for later. No guidance has yet been provided on how this 7 percent presumption will be interpreted or applied by the Attorney General. It is therefore hard to know how “scary” the presumption is as a practical matter. Under any interpretation of the rule, however, the analysis must always come back to the question of prudence. If an appropriation is indeed prudent, and the evidence supports this determination, then the presumption will be overcome. So if an organization were to adopt an 8 percent spending rate for all of its similarly grouped funds (both those with gift instruments executed before and after the enactment of NYPMIFA), the appropriation of post-enactment funds should be just as safe (or at risk) from a prudence perspective as the appropriation of the pre-enactment funds. Even so, greater-than-7 percent appropriations may be an easier target for adverse action by the Attorney General when the appropriations are made from post-enactment endowment funds. In all cases, thoughtful documentation of the organization’s process and its substantive analysis of the eight prudence factors will be key to rebutting the presumption. Despite caveats in the AG Guidance that spending 7 percent is not presumptively prudent under this new rule, it remains to be seen if that percentage will become the “new normal” for organizational spending rates. If that occurs, we would need sustained bullish markets to preserve the inflation-adjusted value of those endowment funds over the long term. Please check Box #1 or #2 below and return to the address shown above. ( ) #1. The institution may spend as much of my gift as may be prudent. ( ) #2. The institution may not spend below the original dollar value of my gift. If you check Box #1 above, the institution may spend as much of your endowment gift (including all or part of the original value of your gift) as may be prudent under the criteria set forth in Article 5-A of the Not-for-Profit Corporation Law (the Prudent Management of Institutional Funds Act). If you check Box #2 above, the institution may not spend below the original dollar value of your endowment gift but may spend the income and the appreciation over the original dollar value if it is prudent to do so. The criteria for the expenditure of endowment funds set forth in Article 5-A of the Not-for-Profit Corporation Law (the Prudent Management of Institutional Funds Act) will not apply to your gift. If the donor does not respond to the notice within 90 days, or if the donor responds by checking Box #1, the organization may then avail itself of NYPMIFA’s rules on appropriation (i.e., appropriate below the original dollar value of the gift, if it is prudent to do so). If the donor returns the notice within 90 days having checked Box #2, the organization may not appropriate below the original dollar value of the gift. A donor is “available” if the donor is living (or in existence and conducting activities, if an institution) and can be identified and located with reasonable efforts. In addition to the exclusion from the notice requirement for funds solicited as part of an institutional solicitation, the notice procedure is not required to the extent the gift instrument already permits spending below the fund’s historic dollar value. At the same time, however, the notice may not be used to gain spending flexibility where the gift instrument does not permit such flexibility. If, for instance, a gift instrument expressly permits an organization to apply its annual draw percentage to an endowment fund, the organization could have already, under prior law, reached into the fund’s historic dollar value to the extent of the organization’s annual spending rate. NYPMIFA is not needed to make that limited appropriation below historic dollar value permitted by the gift instrument, and the statutory notice need not be sent in that case. However, the flipside is that the organization will also not get the benefit of full NYPMIFA flexibility (i.e., the ability to appropriate whatever portion of the endowment fund is prudent), because NYPMIFA’s new spending regime does not override the terms of the gift instrument. Where a restriction such as the one described above is specifically stated in the gift instrument, the organization must continue to abide by the restriction and may not use the notice procedure to gain the even greater flexibility provided by NYPMIFA. To do that, the organization would need either an express release from the donor or judicial approval applying the cy pres and deviation standards described below. The basic principle to bear in mind is that the terms imposed by the donor always control. The notice rules have raised a host of interpretive questions concerning matching gifts, gifts with a “lead” donor, and small gifts, among others. There is no de minimis exception to the notice requirement, so the notice should be sent to donors of even very small endowment funds, although endowment funds created with many small gifts may tend to fall into the institutional solicitation exception. For many organizations, the notice requirement is creating a significant administrative burden, as staff must review endowment agreements to determine whether or not the terms of the agreement exempt it from the notice requirement. Once the notices have been sent, this burden will be lifted, although organizations must forever keep track of any pre-enactment endowment funds whose donors return the notice within the statutory period having checked Box #2. Pre-enactment endowment funds whose donor is no longer “available” or that were received under an institutional solicitation: Organization may apply NYPMIFA’s flexible appropriation rules. Pre-enactment endowment funds whose donor is still “available”: Organization must send the donor notice. If the donor does not respond within 90 days or if the donor checks Box #1, the treatment is the same as category 1; if the donor checks Box #2, the organization may not spend below the original dollar value of the fund. Post-enactment endowment funds: Full NYPMIFA flexibility applies except that the 7 percent presumption also applies. Many organizations are likely to find these new requirements burdensome. Some may choose to revise their spending policies and group similarly situated endowment funds. In that case, the board or an appropriate committee would analyze and document the eight statutory factors it considered for each group before arriving at a prudent appropriation amount. Organizations may also wish to build into their spending policies the ability to take more than the annual draw from endowment funds, where appropriate (and, of course, where prudent), in order to meet special organizational needs. Some organizations may find that NYPMIFA does not change much about the way they calculate or allocate their annual endowment draw, other than initiating the new procedures for grouping funds and analyzing the prudence factors. Others may find that NYPMIFA provokes deeper thought on how the organization’s annual draw should be applied—whether, for example, relatively more should be drawn from funds whose value is well above their inflation-adjusted original dollar value than from funds whose value is close to that line. Although NYPMIFA introduces a spending standard with greater flexibility, it will not be available in all cases. Perhaps the most common instance is when a donor has imposed specific restrictions on spending that override the default rules in the statute (e.g., an explicit donor limitation on spending any amount other than interest and dividends). Endowment law in New York has long permitted organizations to seek judicial release or modification of donor restrictions if certain common law and/or statutory standards are met. NYPMIFA updates and unifies these mechanisms for judicial release of donor restrictions on the funds of a not-for-profit corporation. 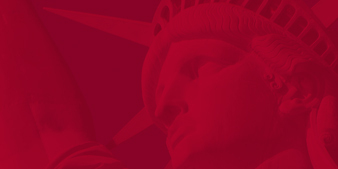 Under prior New York law, an organization could seek judicial release of donor restrictions on an institutional fund (not merely on an endowment fund) where those restrictions had become “obsolete,” “inappropriate,” “impracticable,” or “impossible.” Organizations typically sought judicial relief from administrative or investment restrictions that had become obsolete over time (such as a donor’s express command to invest only in a particular type of stock); from purposes that were no longer able to be met (such as the establishment of a named professorship through a fund whose value could no longer support the professorship); or from the historic dollar value limitation (for example, if the organization’s existence was in jeopardy and it needed money from an endowment fund to embark on a revitalization plan). The rules allowing judicial release were found in two places. The organization previously could proceed under Section 522 of the NPCL if it wished to seek the release of a restriction on the use or investment of a fund—but only if relief would not convert an endowment fund to a non-endowment fund. In other words, this avenue was not available when an organization sought to dip into the historic dollar value of an endowment fund. Section 8-1.1 of the Estates Powers & Trusts Law had to be invoked if the organization wanted to spend below the endowment fund’s historic dollar value or if the organization wanted to modify a restriction on a fund (not simply release it). In either case, the organization could seek relief only if the donor were not alive, because otherwise it had to obtain donor consent for release. If the donor did not consent, the organization had to abide by the restriction and could seek judicial intervention only after the donor’s death. (a) If a particular purpose or a restriction on the use of an institutional fund becomes “unlawful, impracticable, impossible to achieve, or wasteful,” the organization may petition the court for modification of the restriction. (b) For a restriction regarding the management or investment of an institutional fund that has become “impracticable or wasteful, if it impairs the management or investment of the fund, or if, because of circumstances not anticipated by the donor, a modification of a restriction will further the purposes of the fund,” the organization may petition the court for modification of the restriction. For both types of relief, any modification must, to the extent practicable, be made in accordance with the donor’s probable intent. And in both cases, notice must be given to the donor and the Attorney General. The organization may still request donor consent for release or modification of a restriction; however, if the donor does not consent, the organization is no longer barred from petitioning for judicial relief. The Attorney General recommends that a draft petition be submitted to the Charities Bureau for review and discussion before filing the petition with the court to help resolve potential issues and expedite the process. NYPMIFA also contains a mechanism permitting an organization to release or modify a restriction on an endowment fund without court approval, upon 90 days’ notice to the Attorney General, when the fund has existed for more than 20 years and its value is less than $100,000. (The Attorney General has referred to these as “small, old” funds.) To be eligible for this relief, the assets of the “small, old” fund must be used consistently with the charitable purposes of the original gift. Based on commentary by the drafters of the uniform law, it appears that this provision was meant to function in a manner similar to the judicial cy presstandard, meaning that it could not be used to change the purpose of the fund entirely but rather to change the purpose to another that reasonably approximates the donor’s original intent. For funds that do not qualify as “small, old” funds, an organization may wish to consider making an omnibus application to the court to obtain judicial relief from numerous funds at one time. Because of The New York Community Trust’s built-in “variance power,” which applies to all of its funds, a donor who has created a field-of-interest or designated fund in the Trust can be assured that, if changed circumstances have rendered it unnecessary, undesirable, impracticable, or impossible to comply with a restriction imposed on the fund, the board of The Trust may redirect the assets to other appropriate charitable purposes without the need for a court proceeding or Attorney General review. The variance power, although infrequently invoked, allows funds of The Trust and other community foundations to respond to changing needs. As previously noted, NYPMIFA, an organization needing to spend endowment fund below its historic dollar value could attain comfort by obtaining prior court approval. Because NYPMIFA eliminates historic dollar value (except in cases where an available donor checks Box #2 of the statutory notice), prior court approval is no longer a prerequisite to the expenditure of historic dollar value. That change in the law also means that the organization will no longer have the comfort of court approval to appropriate historic dollar value; it must rely on its own conclusion that the appropriation is prudent. NYPMIFA also contains a provision requiring organizations soliciting new endowment funds to provide a new disclosure in their solicitation materials containing a statement that, unless otherwise restricted by the gift instrument, the organization may expend so much of an endowment fund as is prudent after considering the statutory factors. Compliance with this notice requirement will have to be included in the procedures established by organizations to which NYPMIFA applies. The determination of what is prudent to spend from an endowment fund will be different for different organizations. Some may decide that it is prudent to divide funds into a number of relatively small, finely grained groupings based on, say, charitable purpose or investment and appropriation history; others may decide that prudence requires only the broadest of groupings or perhaps no groupings at all. As we discussed in our July article, the business judgment rule applies to decisions of not-for-profit boards and usually means that courts will not second-guess decisions arrived at through a careful and sound process. Unquestionably, NYPMIFA adds a great deal in the way of required process, as organizations will now need to think about revising their solicitation materials, grouping their endowment funds, considering the prudence factors, documenting their analysis, and sending the statutory notice, where applicable. At the same time, NYPMIFA may also cause organizations to take stock of their endowment funds, address situations where restrictions have become unworkable, and think about how they allocate their annual endowment draw. Whether this review process will serve mainly to confirm for organizations that the traditional allocation of the draw remains the right one, or whether it will cause them to alter the way they allocate the draw, remains to be seen. Since 1924, The New York Community Trust has served the needs of donors and nonprofits in the New York area. One of the oldest and largest community foundations, The Trust is an aggregate of funds created by individuals, families, and businesses to support the voluntary organizations that are crucial to a community’s vitality. Grants made from these funds—which now number more than 2,000—meet the needs of children, youth and families; support community development; improve the environment; promote health; assist people with special needs; and bolster education, arts, and human justice. In addition to reviewing proposals from nonprofit agencies and responding to the grant suggestions of donors, The Trust is alert to emerging issues and develops strategies to deal with them, works collaboratively with other funders and with government, and gets out information to the public. Recent initiatives have included programs that address youth violence, managed health care, immigration, child abuse, and public school reform. The Trust is governed by a 12-member Distribution Committee composed of respected community leaders. Its staff is recognized for its expertise in grantmaking, financial administration, and donor services. Local divisions are located on Long Island and in Westchester. In 2010, The Trust made grants of $141 million from $1.9 billion in assets. To read other issues of Professional Notes, please visit our website or e-mail kmw@nyct-cfi.org for free back issues. © The New York Community Trust 2011. By Carrie Trowbridge of Patterson Belknap Webb & Tyler LLP. The Trust developed this material for the use of professionals. We publish it with the understanding that neither the publisher nor the authors are engaged in rendering legal, accounting, or other professional advice. If you require legal advice or other expert assistance, consult with a professional.